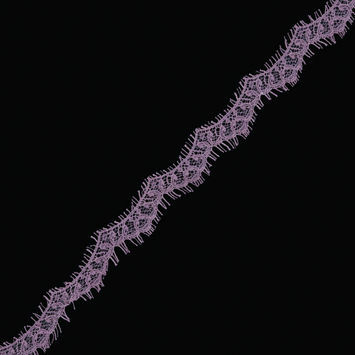 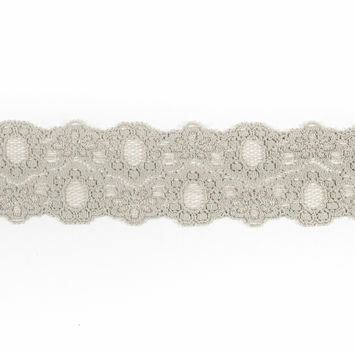 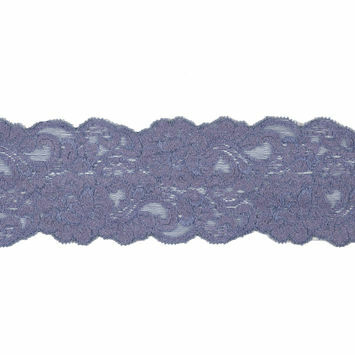 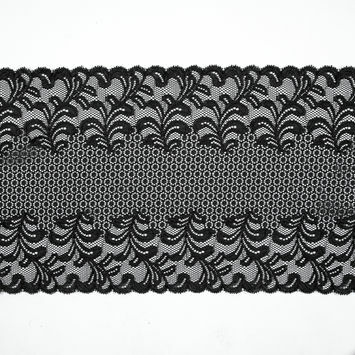 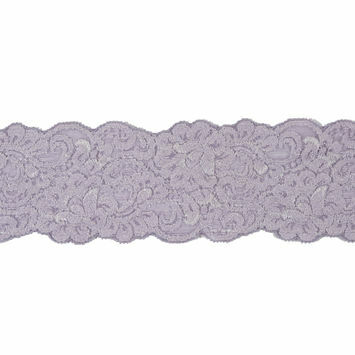 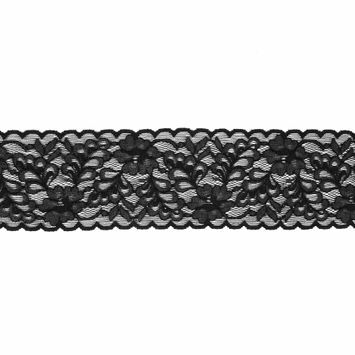 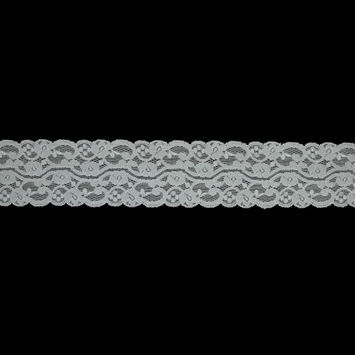 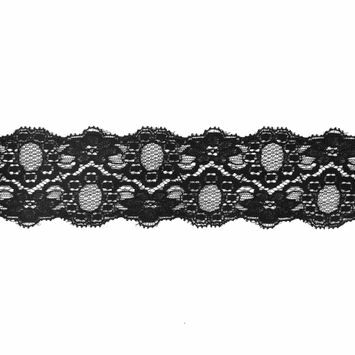 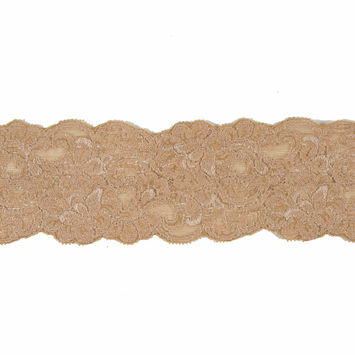 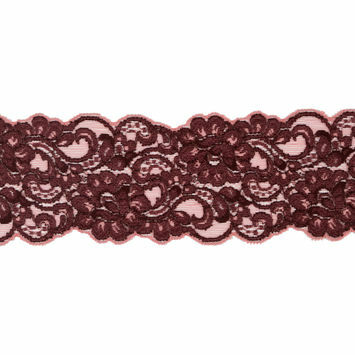 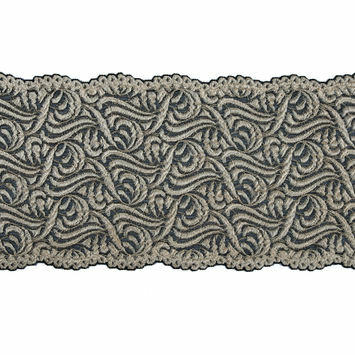 Stretch Lace Trim is the perfect element to add to tight tops, waistbands, or lingerie. 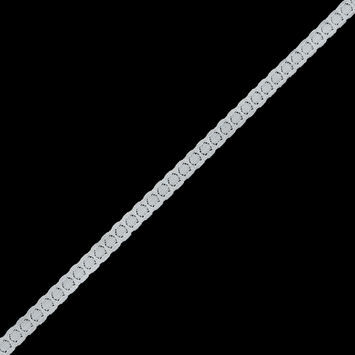 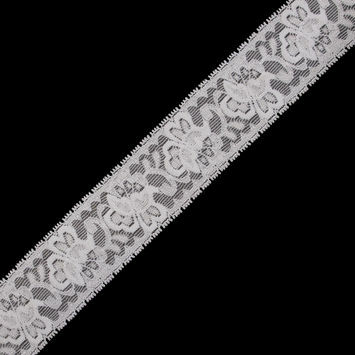 Stretch fabric is a synthetic that can either contain a weftwise stretch or an all-around stretch. 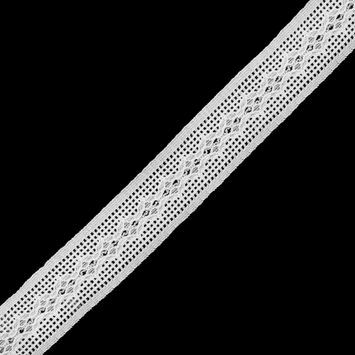 These fabrics were created while scientists attempted to make fibers using neoprene. 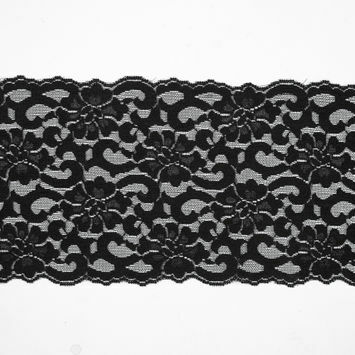 Stretch fabrics revolutionized the clothing industry, and while originally used for swimsuits and bras, fashion designers picked up the malleable textile in the mid-1980's. 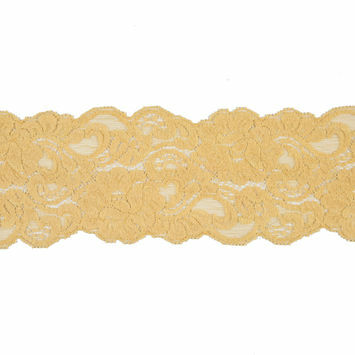 Add stretch lace to crop tops for festivals, or create beautiful bridal wear with stretch lace trim. 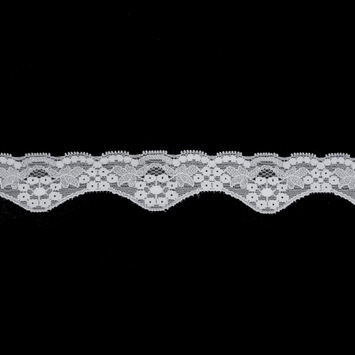 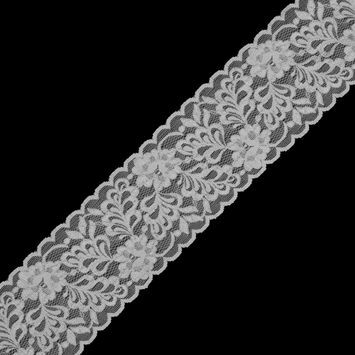 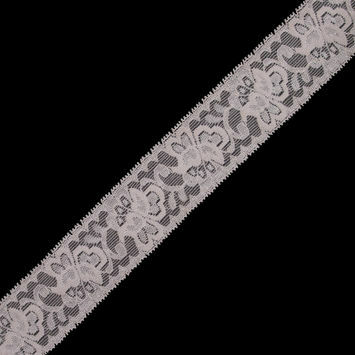 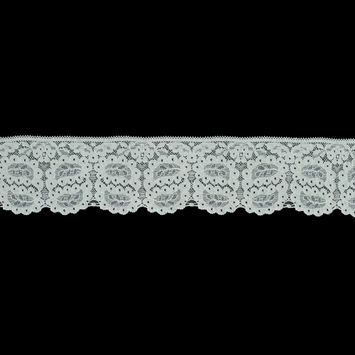 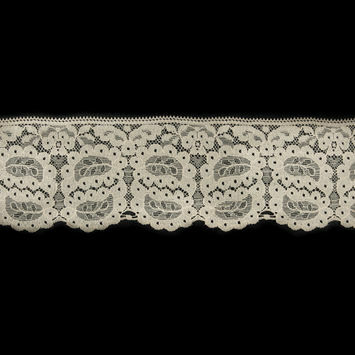 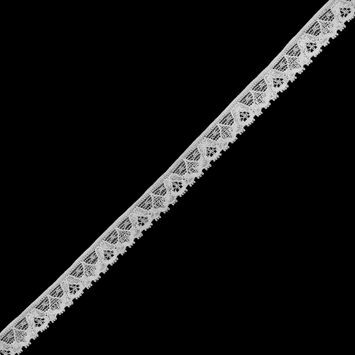 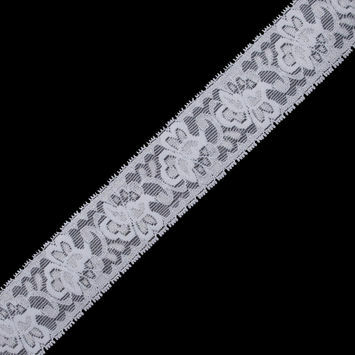 White Stretch Lace Trim - 0.375"
Peach Stretch Lace Trim - 2.625"
Off-White Stretch Lace Trim - 2.625"
White Stretch Lace Trim - 2.625"
White Stretch Lace Trim - 1.5"
Black and Silver Stretch Lace Trim - 1.5"
Beige Stretch Paisley Lace Trim - 3"
Ivory Floral Stretch Lace Trim - 4.75"
Ivory Floral Stretch Lace Trim - 2.75"
Ivory Stretch Lace Trim - 0.375"
Black Stretch Floral Lace - 9.5"
Alabaster Gleam and Black Stretch Lace Trim - 6.5"
Black Stretch Floral Lace - 6.5"
White Floral Stretch Lace Trim - 1.5"
Deco Rose and Peony Stretch Lace Trimming - 3.5"
Orchid Hush Stretch Lace Trimming - 3"
Black Stretch Lace Trim - 2.25"
Mellow Buff Stretch Lace Trimming - 3.25"
Dusky Citron Stretch Lace Trimming - 3.5"
Persian Violet Stretch Lace Trimming - 3.25"
Gray Stretch Lace Trim - 2.25"
Black Stretch Lace Trim - 1"
Black Stretch Lace Trim - 3.75"
Pale Peach Stretch Paisley Lace Trim - 3"
White Stretch Lace Trim - 1"